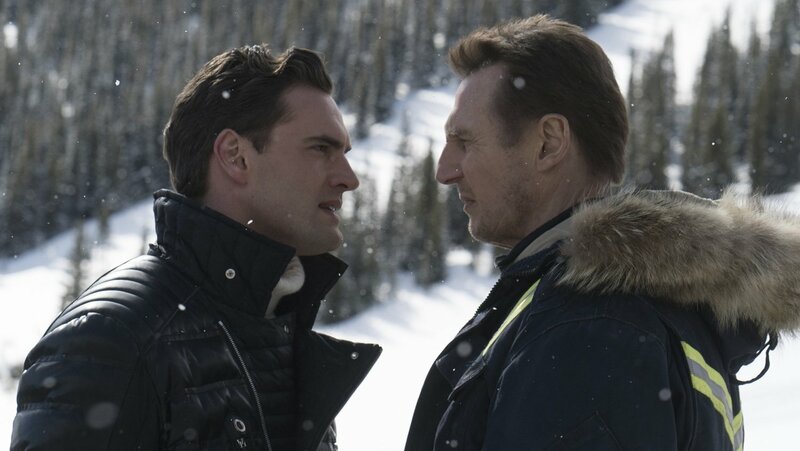 Lionsgate has released the first trailer for their new revenge thriller Cold Pursuit, starring Liam Neeson (The Commuter, Taken) as a man looking to exact revenge on the gangsters that have killed his son. When asked what makes him think he knows what it takes to kill a man, he replies simply that he “read it in a crime novel.” You can check out the trailer in the player below! Cold Pursuit, formerly titled Hard Powder also stars Emmy Rossum (Shameless) and Laura Dern (Wild), and follows Nels Coxman (Neeson), a local snowplow operator recently named Citizen of the Year of his small Colorado ski town for keeping the roads open through the winter. Nels’ quiet life with his wife (Dern) abruptly spins out of control when their son is unjustly murdered by a local drug cartel. Taking the law into his own hands with only the tools of an outdoorsman and snowplow driver, Nels sets out to find those responsible but inadvertently ignites a gang war that threatens to engulf the town — unless he ends it first.